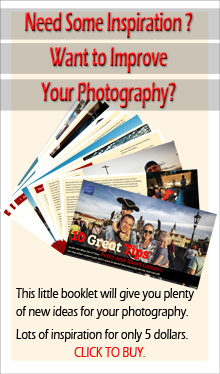 It’s about time to continue my little series of practical tips – tips that can be used to enhance your photos. In the last instalment of this series I wrote about using a long exposure time on freehand to create a more energetic and somewhat abstract expression (Time Elongated – A Practical Tip). Today I want to talk about light. Light is one of the most important factors that influence the quality of a photo. Light can make or destroy an otherwise excellent photo. In traditional photo literature and how-to-books we often learn that midday sunshine is bad. It creates harsh and unforgiven light with dark and ugly shadows. Certainly, that can sometimes be the case, but I disagree with the notion that it’s bad light in general. There is no such thing as bad light, only suitable or not suitable light for whatever you are trying to express. If you use the harsh light creatively, it can generate some wonderful photos. Here is a way to turn that harsh midday light into a more subtle, soft and glowing illumination. Simply go inside and leave the door open behind you. The sunshine coming directly from above reflects on the ground and showers softly through the open door and into the room behind. Use the indirect light from the sun to create and almost unearthly setting for you photography. The result does depend on the ground, though. If the outside of the door is covered with newly laid and black asphalt, the amount of reflections may be close to none. Then this tip doesn’t work. But with a lighter ground outside, it’s a delightful (excuse the pun) to illuminate persons or a still life in an interior setting. This works particularly well in areas closer to equator, be it Mediterranean countries, the Caribbean, the Tropics or Subtropical areas where midday light is particularly harsh. Like in Cuba, from where I have just returned. The photo following this post is all illuminated by harsh midday sunshine coming through an open door to the left (and yes some light is streaming through the open window behind, but not illuminating anything facing the camera). 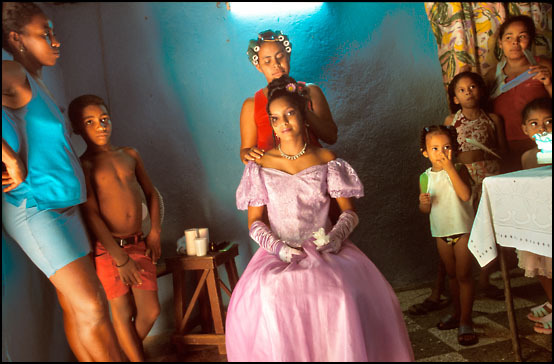 It shows the celebration of quinceañera or a girl’s 15th birthday in Cuba. Thank you, Otto for pointing out that there is no such things as bad light. I took the tradition saying as a rule. That indeed can be broken too. By the way, your example picture is great! Very useful, since one often has to use what is present then and there. One can’t be everywhere at dusk and dawn. Exactly – and you don’t need to bring the reflector. Good advice. I know that I like inside portraits when the subject is seated near a window, so this makes sense. Thank you for the helpful pointers Otto, though I am still in the amateur stage of photography , I enjoy discovering tips on how toimprove the quality of my pics and find your photos amazing . Have a beautiful day and again, thanks very much. I am glad these tips may be of some help. Thank you for the lovely response. I am happy you think so. Thank you, Sylvia. Yea, good advise, I shall use it and a lovely example. Thank you, Otto. You are very welcome, Paula. Great tips. It’s hard this time of year because the day light window is so small anyway. I love breaking rules, especially when they produce such fantastic results! haha getting some noon day sun would be a miracle here 🙂 lovely shot, beautiful colours. It’s necessary to experiment and your point verifies it. Through experimentation are we able to find new way to express ourselves. Isn’t that so? And thank you for the lovely feedback, Joanne. Wonderful photo. I love the light but I especially love that it is slightly crooked. The slight angle gives it a sense of vitality. Well, I hope you got that it doesn’t work so well with black asphalt as the outdoor reflector? Wondering how it would look with light bouncing off snow into an open door. Should have plenty of that white stuff to play around with in the coming months. No light is bad light indeed. Sunlight through the doors and the windows is my favourite light. They have different qualities, but are both providing beautiful light. oh look at the beautiful color ! light ! soft, natural and I love that beautiful family 🙂 The rounded no sharp edges arc-like room complements the people in it. It is interesting to me how you picked up or made such a rounded abstract space in the whole image..an unusual photograph. I really like this one. reminds me of carrying those big reflection cardboard pieces to take portraits in midday sun under the shadow of a tree 🙂 it does make for a nice light!! It does create a rim of light. Thank you for the feedback, Pat. A great tip as always Otto. From my hotel room in Brighton on England’s south coast, looking out over a grey sea and hearing the wind whipping across the bay outside, it may be some time before I use it! The light in this photo is beautiful, so alive. I love the way it makes the colors and skin simply glow! Bad light! Naughty light! Bad! Bad! Bad! As I should have said it myself. Hi Otto — what I like about your attitude toward photos is you believe there is always a way to make things work. You are not afraid to try new things, to experiment, and that’s a wonderful attitude. This line, ” Use the indirect light from the sun to create an almost unearthly setting for you photography” makes it sound so easy! But you are quite talented my friend. And a lot of that comes from your courageous take on whatever light/camera/setting you find yourself in. Very inspiring. A beautiful photograph Otto and a very good tip to remember! No reason to sleep even during the midday sunshine! sometimes the best comment is a post! i enjoy the dramatic strong light, but then, i am able to utilize that in my paintings..
i agree so much and appreciate all of your advice, suggestions, feedback! it’s such a gift to have sight and truly see what most overlook! Like every new photographer, I’ve heard the “don’t shoot at midday” advice, and my midday photos have seemed to confirm its wisdom. Clearly, there’s a difference between this sort of midday shot and one in an open field under a clear sky. I suspect that every condition can be the “right” condition, if only we take time to learn which tips and tricks to utilize in a given situation. I must add that the composition of your photo is marvelou. The “V” formed by the people, and the light from the window, places all the attention right where it belongs: on the girl. Thank you for your sharp observation and encouraging words, Linda. And, yes, you are right, every condition can indeed be right if we only use it right. I am glad do. Thank you, Jo.